More Vegan. More Vengeance. More Fizzle. Ten years ago a young Brooklyn chef was making a name for herself by dishing up amazing vegan meals—no fuss, no b.s., just easy, cheap, delicious food. 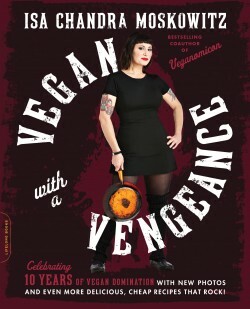 Several books later, the punk rock priestess of all things tasty and animal-free returns to her roots—and we’re not just talking tubers. 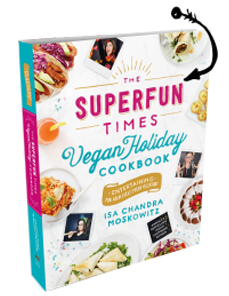 The book that started it all is back, with new recipes, ways to make those awesome favorites even awesomer, more in-the-kitchen tips with Fizzle—and full-color photos of those amazing dishes throughout.